The wide range of quality heat pumps available today mean that there is a unit for everyone – whether they want a top of the line model with advanced performance features or a budget-priced heat pump that will still do a fantastic job. The Amana GSZ13 Distinctions heat pump falls in the latter category – a quality Amana model that heats and cools without a lot of expensive extras. This HVAC prices submission came through our Share and HVAC price page from Sophia near Vancouver, WA. Here is her Amana GSZ13 Distinctions heat pump price and her story of why this unit makes sense in her situation. “Last year when my Dad passed away we moved my Mom into a small home we purchased a few doors from us. She wanted a place of her own because even though she’s 84, she still enjoys entertaining in her home and ‘didn’t want to keep us up to all hours!’ she’d say with a chuckle. So we got her settled there and the next week the furnace quit. 13 SEER cooling and 7.7 HSPF cooling. Single stage compressor is efficient and quiet. Uses R-410A refrigerant that is chlorine free and won’t harm the ozone layer. SmartShift technology is quiet and keeps the unit defrosted. Standard equipment includes: line filter dryer, suction line accumulator, brass service valves, sound muffler and compressor crankcase heater. Equipped with short-cycle protection to prevent freeze-up. 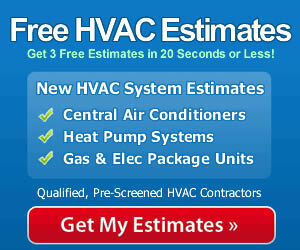 Saving the most money on a heat pump is best achieved by hiring a qualified contractor to do the installation. Poor installation is costly in terms of lowered energy efficiency and often, reduced durability of the unit. When the unit is installed correctly, you’ll have the confidence you are getting peak performance and can expect years of solid service from your Amana GSZ13 Distinctions, or whatever unit you choose.